While stage arts have widely questioned "new" technologies from an aesthetical point of view, the application of the these latter on the former ones study is a nascent phenomenon. The digital humanities could be the flag of new scientific perspectives for stage arts studies as it is for other domains? After an overview on the "two waves" (Presner, 2010) of digital humanities in the field of theatrical studies, I will analyze more specifically the possibilities given by Culture analytics, that is the data oriented analyse of culture. Starting from the methodologies experimented in the Culture Analytics program at UCLA, I will show the several possibilities in studying, analyzing and documentation in a "medium data" context. 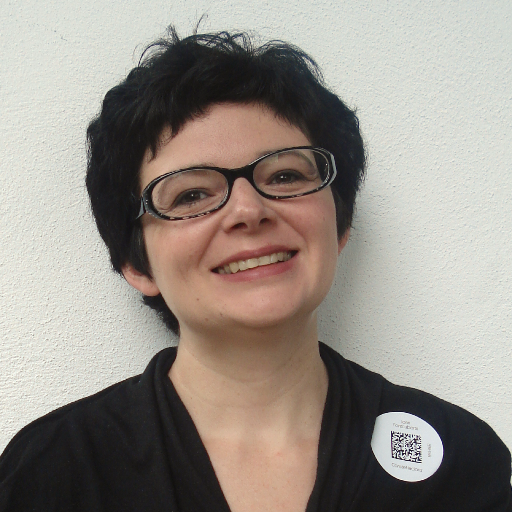 PhD holder on Les Théâtres virtuels (Paris 3/CNRS, 2005), Clarisse Bardiot is associate professor of the University of Valenciennes (DeVisu lab) and associated researcher of the ArtSciLab Experimental Publishing Initiative lab directed by Roger Malina at Texas University in Dallas. In 2005, she obtained the visiting researcher grant at Daniel Langlois Foundation in Montreal for a research on 9 Evenings, Theatre & Engineering . After that she participated in the international project DOCAM. In 2011, she created Subjectile, a publishing house devoted to the contemporary creation, focused on paper and digital publishing. In 2016, she was selected to participate in the "culture analytics" long terme program at the Institue for Applied mathematics of the University of California in Los Angeles. She's developing Rekall and MemoRekall, an environment and an open source webapp to documenting, creation processes analyzing and simplifying works reshowing. Her research axes are history and digital performances aesthetics, digital humanities, art / science / technology relations, digital works conservation, and new publishing forms. Organized by the Canada research Chair on Digital Textualities and the CRIHN - Intercollegiate Research Center on Digital Humanities. The round table recording is available on the Archive.org Chair account.